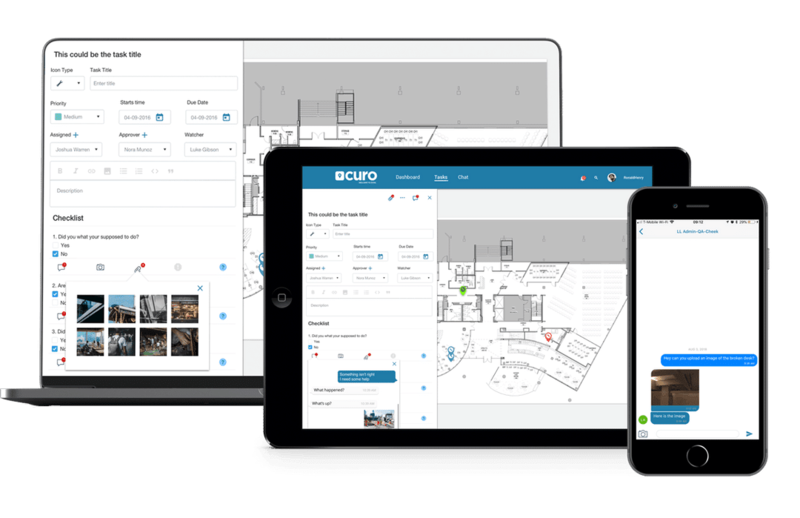 Curo's field service management software is designed for mobile, growing services team. We have a proven track record of helping businesses in a variety of industries get work done right while eliminating lost productivity and delays. Home services workers often don’t know where the day will take them. Sure, an HVAC technician might have a few installs on their calendar, but in the height of the summer they could have four or five priority repairs added to their daily list, and the day becomes chaotic. The job of a maintenance and facilities manager never really slows down. It can get chaotic quickly, with missed assignments and confusion throughout every task and detail if you don’t have the proper visibility and guidance. A property manager’s day is a mix of the expected and the unexpected. 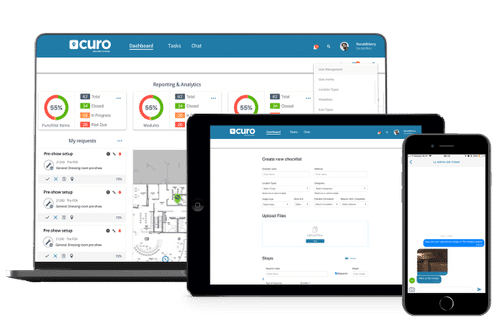 Curo helps property managers assure that tenants are cool, calm and collected, by giving you the tools to eliminate chaos and confusion and keep the property running smoothly. For general contractors, the tasks associated with the day-to-day oversight of construction sites can be overwhelming. And the enemy of the contractor is rework, which has a devastating effect on the cost and schedule of a project. Rework negatively affects productivity twice over, with time spent doing and redoing the task — all time not spent doing something else. Machine installation and commissioning workers can take a warehouse facility from an empty shell to become a world-class operating e-fulfillment center. 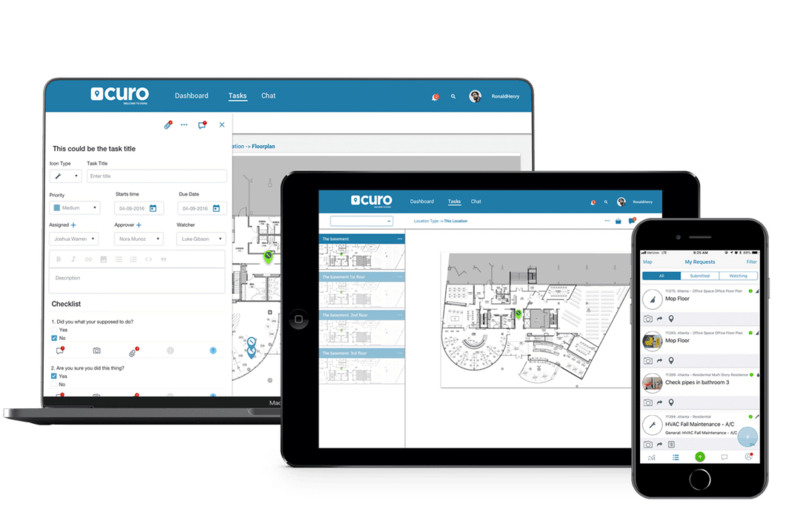 With Curo, project managers always know the status of every install, what needs to be done and who should be doing the work to get the jobs done fast, on time, and done right. In any community or municipality that has a parks department, the responsibility of maintenance is a big job. 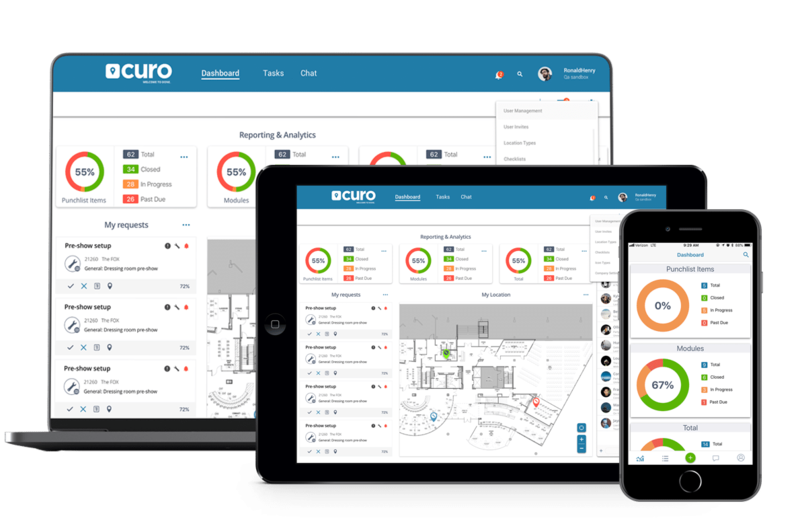 With Curo, Parks & Rec departments can manage all city properties right from our intuitive confirmation, with full visibility of every project at all times. A hotel is a living, breathing organism. Concierge, maintenance, servers, housekeepers, porters, kitchen workers, valets, bartenders, management, marketing, and human resources must always be pulling in the same direction.